Whether male or female, clear and healthy skin is what we want everybody to see. We, especially women, are vain enough to always want to have clear and healthy skin even as we grow old and having clear and glowing skin just might not show our real age. 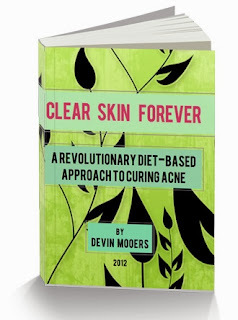 Just like the fountain of youth we have always sought clear skin and how to maintain it forever. -Wash your face daily with water only, without soap. Water is a natural moisturizer and washing your face with water will flush out the toxins from the skin. -Drink lots of water at least 8 tall glasses a day. Aside from hydrating the entire body, water leaves the skin soft and smooth all over. -Take freshly blended fruits and vegetables combined with water or soy milk at least once a day. Fruits and vegetables have antioxidants that will help cleanse and purify our body inside and out. -Once a week, wash your face with an unscented facial cleanser or facial wash. Do not use creams because they tend to get imbedded in the inner layers of the skin. -Exfoliate your skin at least once a month to remove dead skin cells that makes your skin look dull and rough to the touch. You can use nature exfoliants like oatmeal, coffee or green tea leaves to deep clean your skin and make it glow. -When washing your face and neck lather and apply your facial wash using all upward and circular motions so that all the areas of your face and neck will be covered so that the skin of your face and neck will be pushed upwards and not sagging downwards. -When drying your skin, never rub briskly always pat your skin dry or rub gently in circular motions. -Never prick, squeeze, pick, pop, scrub or poke your skin so that you will not harm and scar it. -Apply a facial mask weekly. You can use natural homemade masks of your choice which are also safer and contain no unwanted chemicals. You can choose from: milk and honey mask, oatmeal and honey, plain honey mask, green clay mask, aloe vera mask or an avocado mask. The facial mask will remove impurities and toxins from your skin, naturally moisturize the skin and protects and softens the skin.